A week ago I had too many tomatoes, and now I have a years worth of salsa! Last week I had dinner with my parents, who sent me home with a giant bundle of tomatoes from my aunt’s garden. I had already been planning on canning something this fall so this plethora of t’maters was the perfect excuse. I should let you know that this was my first attempt at canning. And after reading stacks of articles about proper canning techniques I was very careful to follow all the directions I found, as closely as I could. I bought canning tongs and new cans but didn’t purchase a canning rack for processing the cans. Instead I placed a dishtowel underneath the jars to prevent them from getting too hot while they were boiling. Not all of my cans sealed properly (I found some simple tests for seals here), so I reprocessed them the next day for another 15 minutes. This recipe is fairly mild but really flavourful, and the process is pretty quick once you have your workspace prepped. I didn’t have any anaheim peppers as the recipe called for so I substituted yellow bell peppers and broiled their skins off in the oven. 1. 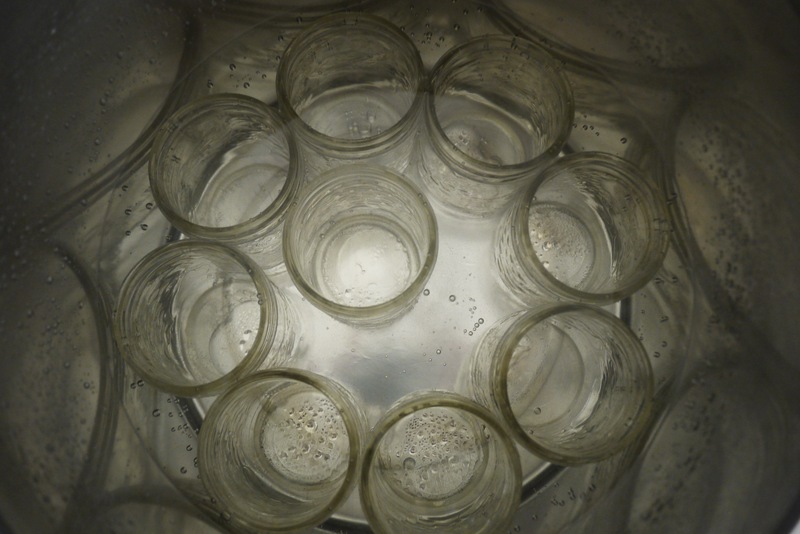 Place jars in canning pot and fill with water until the lip of the jars are covered. Bring water to a simmer for 10 minutes, and keep jars in the warm water until you’re ready to fill them. Have a kettle filled with water ready to boil so you can sterilize the lids right before canning. 2. 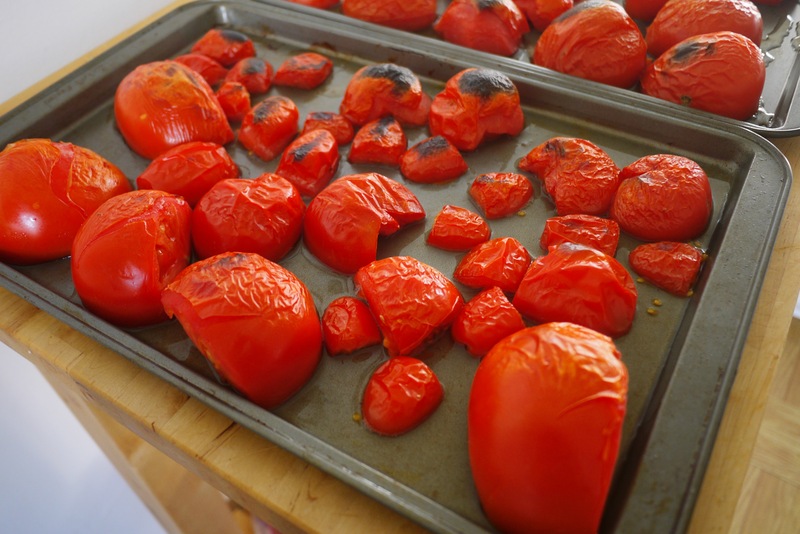 If you have a gas range you can roast your peppers over the flame, but if not you can broil the peppers in the oven until their skin is black. Once they have cooled gently rub off the outer skin and discard. 3. Prepare the tomatoes. 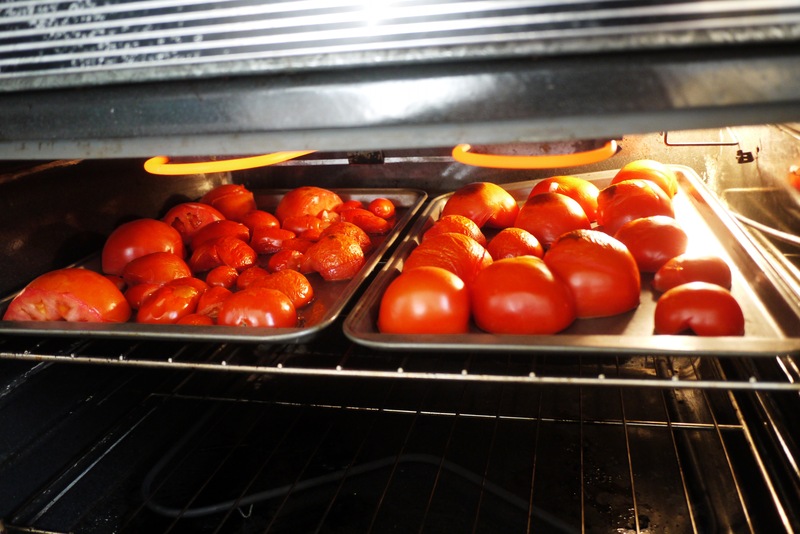 You can do this on a grill or you can broil the tomatoes as well by halving them and placing them skin-side up on a baking sheet. You can also blanch them to remove the skins but this is the least flavourful way of getting the skins off. To blanch anything means to place it in boiling water for a short amount of time and then moving them to an ice bath, the skins will come off easily. 4. Put all of the ingredients into a large stainless steel pot. Bring to a boil and then simmer, uncovered for about 10 minutes. 5. 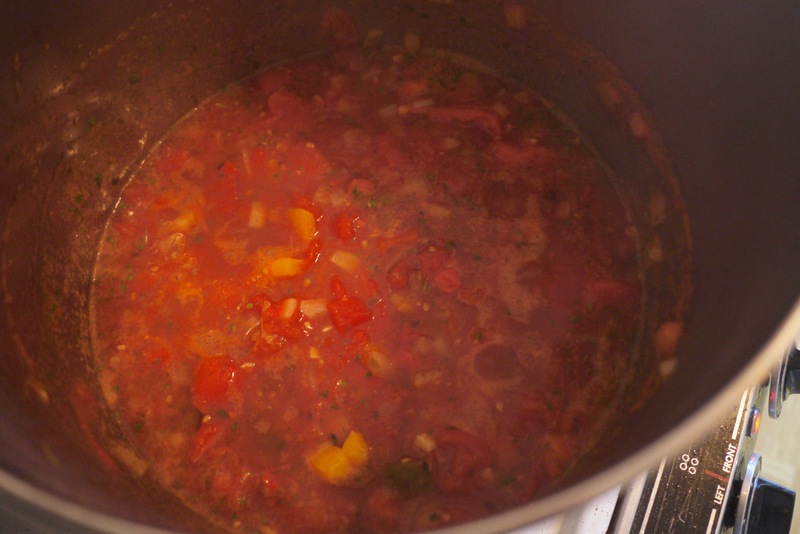 While salsa is cooking, place the jar lids in a bowl of boiled water and cover to sterilize them. 6. Adjust seasonings. If too acidic add more sugar, if too sweet add more vinegar. You can also use an immersion blender if you prefer your salsa smooth instead of chunky. 7. Ladle salsa into jars, leaving about 1/2 inch of room on the top. Wipe the mouths with a clean paper towel to get rid of any salsa bits. Place the lids on and screw on the rings but make sure you don’t over-tighten since air needs to escape during the next step. 8. Place the jars back into the large pot that was keeping them warm. Cover the jars with at least 1 inch of water and bring to a boil. Process for 15 minutes and turn off the heat, let the jars sit in the water for another 5 minutes. 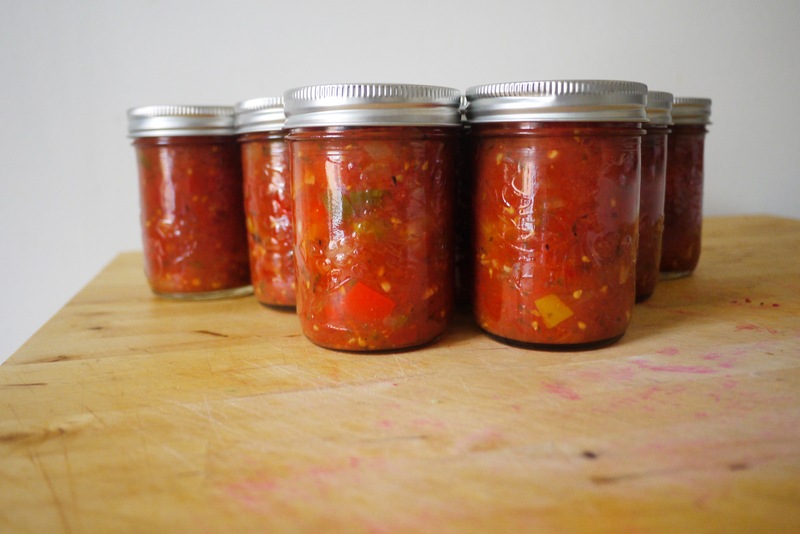 Remove the jars using the canning tongs and let them sit on the counter until completely cool. You should hear lots of popping sounds as the jars create vacuum seals. Check your cans before storing them in a cool dry place, if any aren’t sealed properly you can reprocess them. Canned salsa should be eaten within a year so remember to write dates on your jars somewhere. Hey! I just made the very same recipe! Except I was too lazy to roast anything because I was making a ridiculous amount. Looks great! That’s awesome! It’s so tasty I’ve been munching on tortilla chips all week!